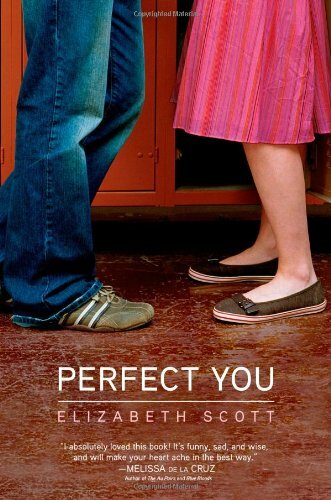 More by this author Follow Amelia N.
Perfect You by Elizabeth Scott takes place in the present day. The year in the story was not told, but it was while a girl named Kate Brown was a sophomore in high school. The setting was very clear and detailed. It was so clear you could picture it in your head. The two main characters are Kate Brown, and a boy named Will. They disagree on everything. Kate is the not-so-popular girl who has never had a boyfriend, and Will is the popular guy who can get whatever girl in all of school. It’s pretty clear why they don’t get along. Kate denies that she likes Will. Deep down she has the biggest crush on him, on the other hand she says she can’t stand him at all. Yet, what she does not know is Will feels the same about her (Kate). Life could not get any worse Kate says. Her father quit his job to sell vitamins in the mall, her mother is always depressed because of the money issues, her older brother who just graduated from college is living at home being a bum, and her best friend Anna is so popular now she thinks Kate no longer exists. Kate is living a whole different world because she wants to cry everytime she sees Anna. Everytime this is about to happen Kate finds something to do to hold the tears in. Kate learned she doesn’t need to be friends with Anna because true friends never give up the relationship. Kate wants to be with Will. She wants to be more then friends with him. She thinks of nothing else but him. She thinks if she ever gets with Will she will become way more popular, and her and Anna will become friends again. I recommend teenage girls to read this book. Its funny, flirty, romantic, and every American teenage girl will love it. This book was very well written. I could picture every detail in my head. The very end “will” shock every girl who reads this.